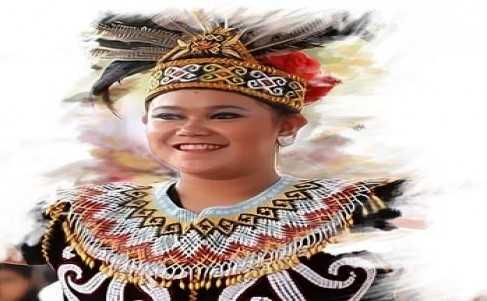 Enjoy your trip to and from Balikpapan. 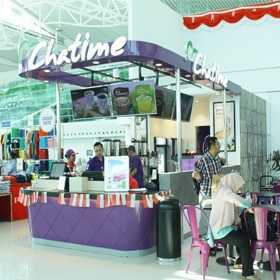 Indulge yourself with Sultan Aji Muhammad Sulaiman Sepinggan Airport's world-class services. Whether you’re departing or arriving, there’s always something great going on at I Sultan Aji Muhammad Sulaiman Internasional Airport. Whether you’re departing or arriving, there’s always something great going on at I Sultan Aji Muhammad Sulaiman Sepinggan International Airport. Whether you’re departing or arriving, there’s always something great going on at Sultan Aji Muhammad Sulaiman Sepinggan International Airport. Bakso Lapangan Tembak comes with a few special menu, in addition to providing a meatballs in outlets bakso lapangan tembak also provides a variety of fresh juices and fruit soup, located on the top floor of the SAMS Airport that makes you feel comfortable to relax enjoy the food that has been presented together with your family. Bogajaya gourmet is of shelter variety of culinary, here you will find culinary soto Madura typical all with a sense of the archipelago, there bangikopitiam which is known for its cuisine Malay equipped with a smoking room area, gogo frank with various fast food service, and do not forget there are bebek kremes tulang lunak of the bebek harissa. 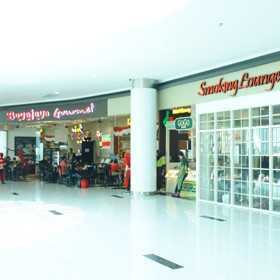 Bogajaya gourmet located at gate 7 so you can relax while waiting for your flight. 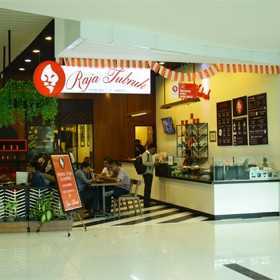 There are a variety of drinks, tea, coffee and chocolate, you can enjoy cold drinks making yet shop at the airport, in addition to providing beverages herein also provide steamed bread pao-style rosiepao assorted colors are ready to accompany the color of your holiday . Indonesian have their own traditional way in serving coffee.It is the quality over simplicity that makes the Indonesian "Kopi Tubruk" stands out.From accross the archipelago, Raja Tubruk is the place where you can find comford food to accompany the legendary "Kopi Tubruk". 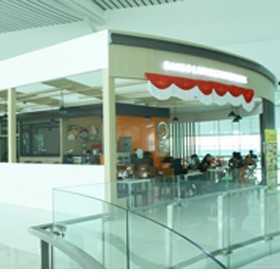 We are present in the domestic departure terminal the 3rd floor near the boarding gate. There are facilities that can support your comfort such as FIDS (Flight information), smoking room (equipped with air fresheners).